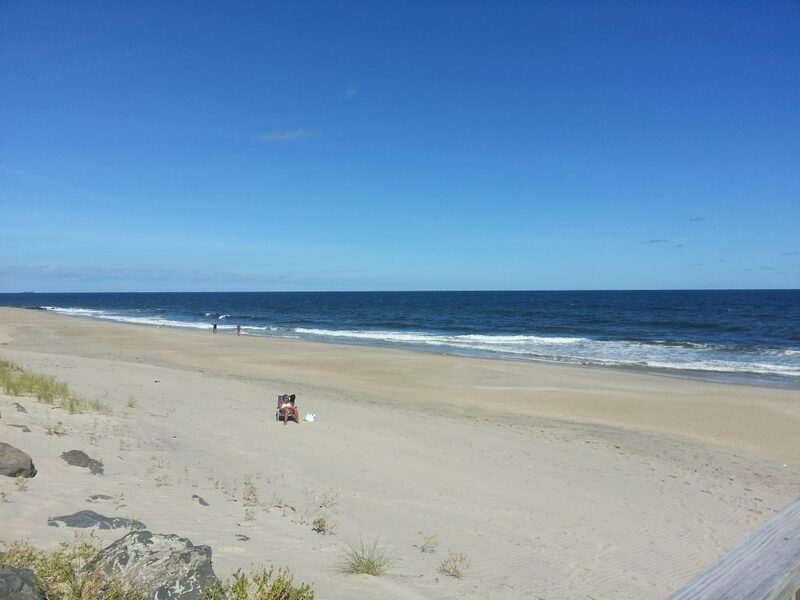 The Admiralty is located at 55 Ocean Avenue and is right on the beach. 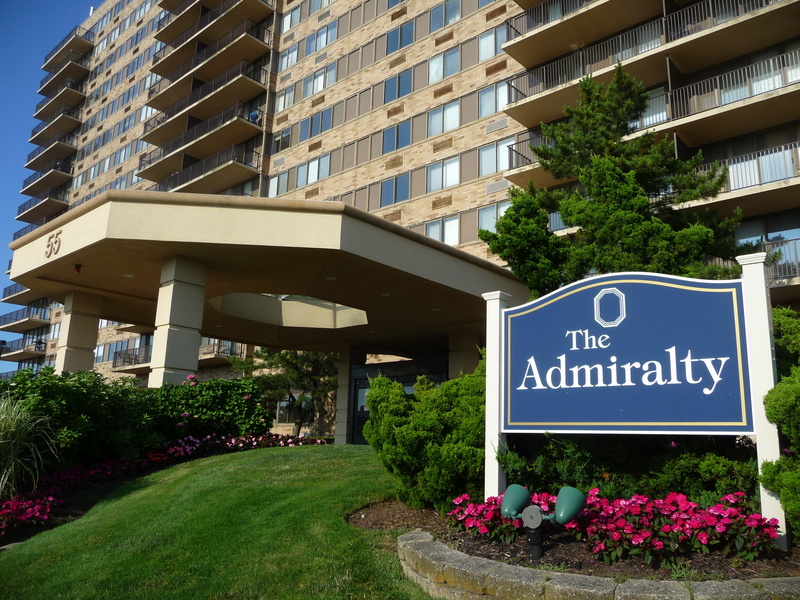 Completed in the early 1980's, The Admiralty offers 162 one, two and three bedroom condominiums. Located directly on the beach by the intersection of Ocean Avenue and Beach Road, the Admiralty has an east/west exposure. On the east side, the view is similar to what you would have on a cruise ship and the west side has inland views of Monmouth Beach with the higher floors also offering panoramic views of the Shrewsbury River. The Admiralty is a full-service condominium and the amenities include a 24 hour concierge desk, 24 hour maintenance staff, on-site management, a heated pool, tennis court, direct beach access with beach chairs and umbrellas supplied, a fully equipped fitness room, men's and women's lockers and showers with saunas, a social room with each resident having a liquor locker, a library which can be rented for social events and private storage for each apartment. Each apartment has one parking space in the underground garage and there is additional parking in front of the building and on the parking deck at the north end of the building. The Admiralty is pet restricted so dogs and cats are not permitted. 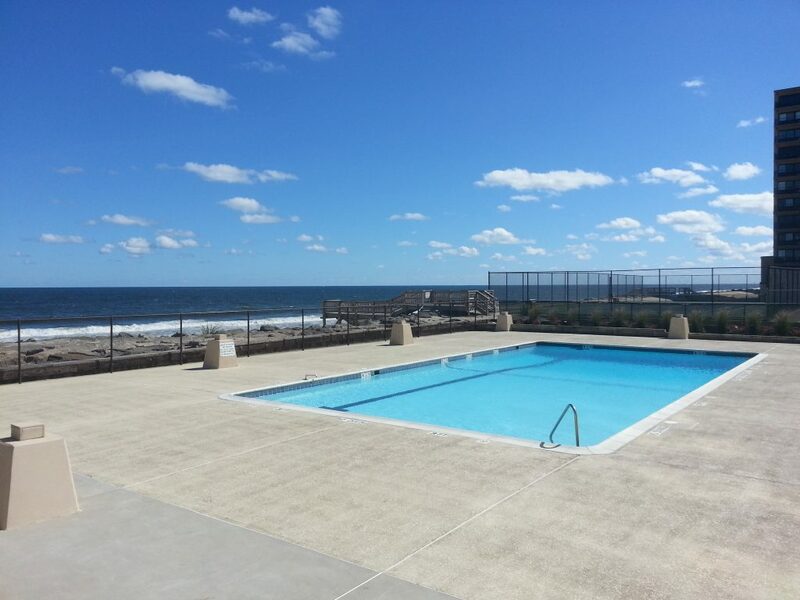 At the south end of The Admiralty is this community pool overlooking the beach and ocean. 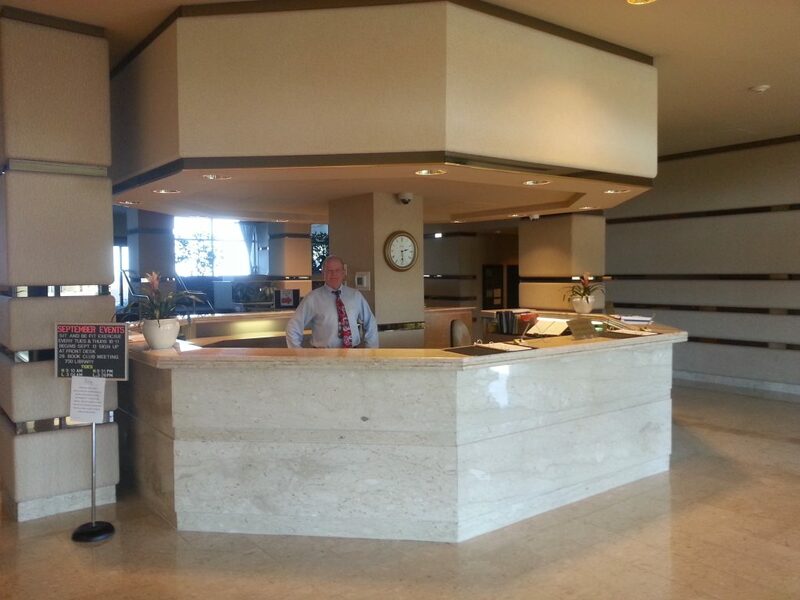 The Admiralty has a concierge desk that is manned 24 hrs. a day, 7 days a week. 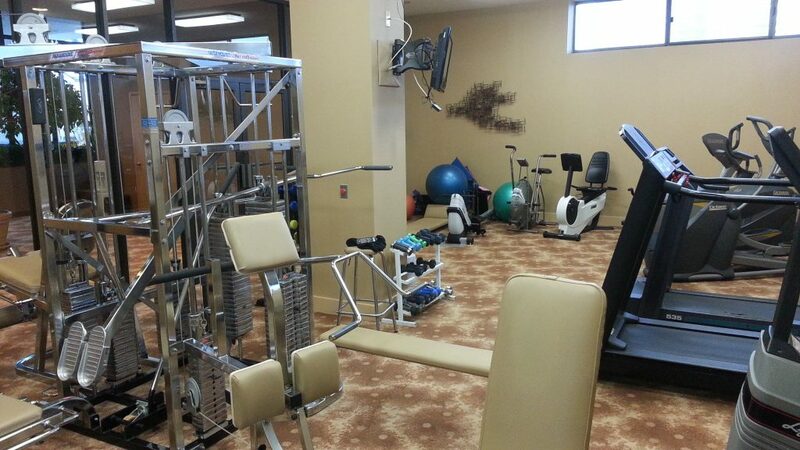 The Admiralty has this well light and equipped fitness room. 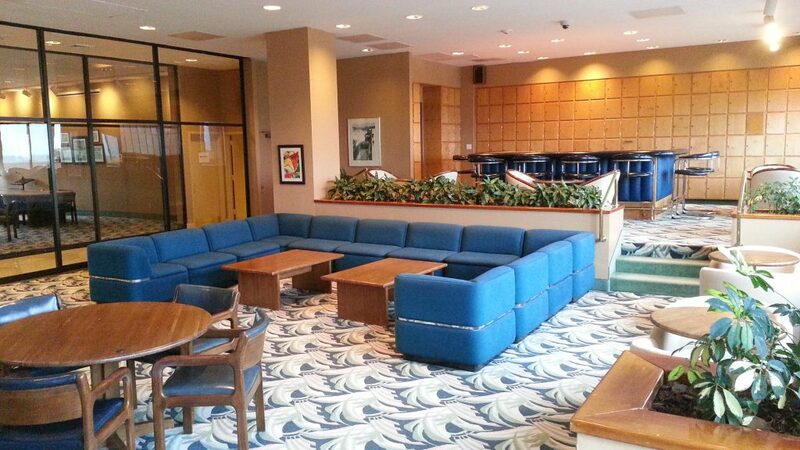 Overlooking the ocean is this well light social room. Each resident gets a liquor locker in it. The Admiralty has it's own beach with beach chairs and umbrellas for residents. 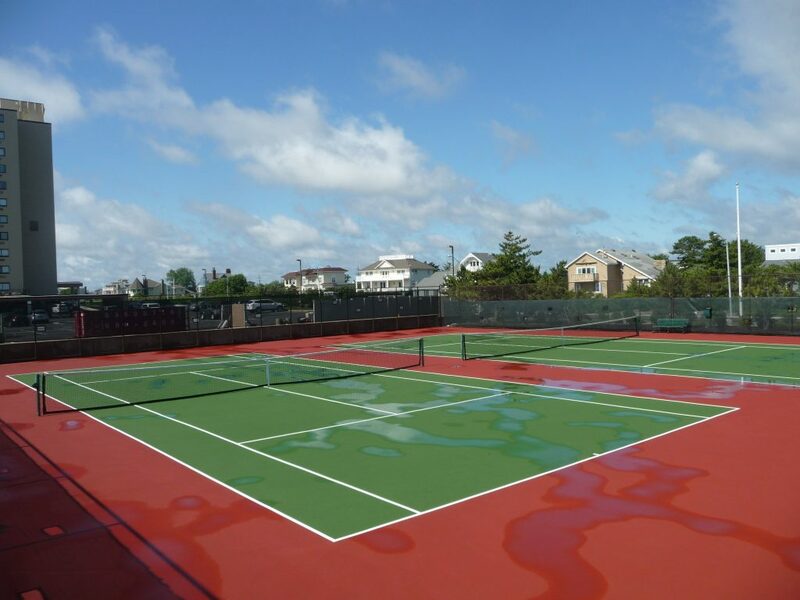 The Admiralty has two high quality tennis courts located next to the pool.